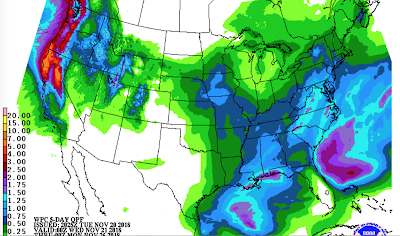 Here is the NWS's precipitation amount forecast valid through 6pm CST Sunday evening. Please note the two areas where more than seven inches are forecast in the mountains of California. In the burn areas this will cause mudslides.